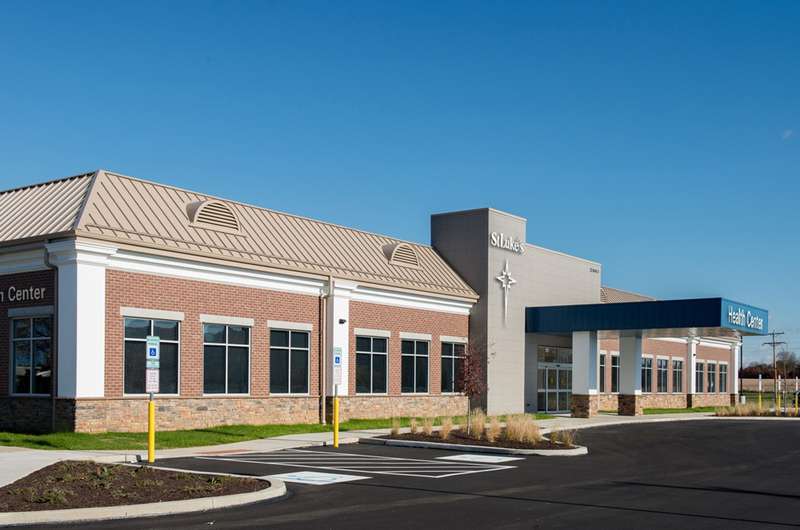 Constructed for St. Luke’s University Health Network, the building shell was designed to follow the St. Luke’s exterior aesthetic while creating a unique and memorable location serving the medical needs of Forks Township residents. 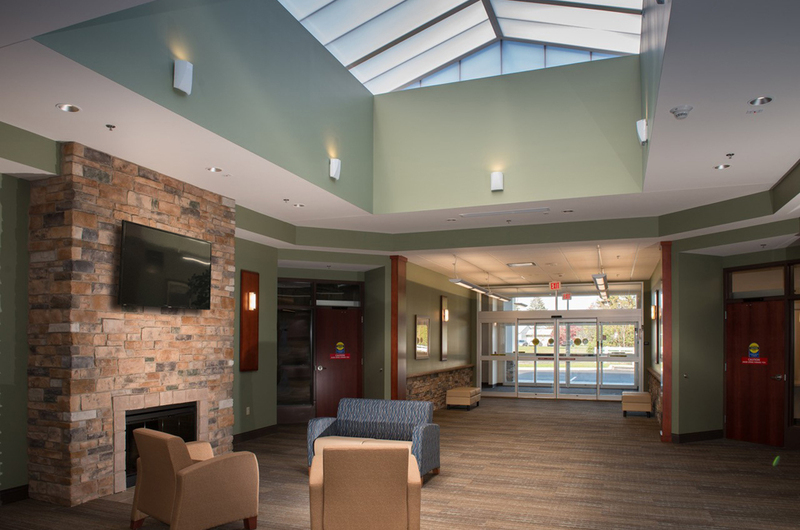 In keeping with St. Luke’s vision, the design is anchored by a large shared waiting room lit by a central skylight. Radiating from this central space are a (5) suites; a Blood Draw Center, Multi-use Office space, Family Practice, Physical Therapy Suite and Care-Now Walk-in Clinic. Each suite was custom designed to meet St. Luke’s medical office standards and the individual needs of each practice.